This international bestseller shows why the Danes are happy and how we can be, too. For decades Denmark has ranked at the top of the world’s happiness surveys. How is it that these 5.6 million Danes are so content when they live in a country that is dark and cold nine months of the year and where income taxes are at almost 60 percent? At a time when talk across the Western world is focused on unemployment woes, government overreach, and anti-taxation lobbies, our Danish counterparts seem to breathe a healthier and fresher air. 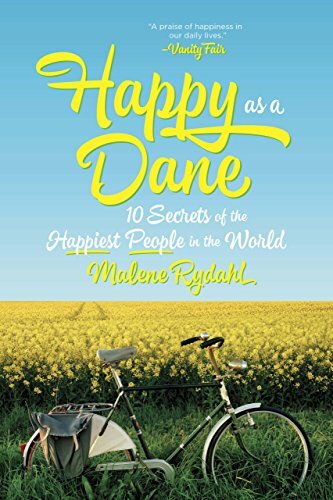 Interweaving anecdotes and research, Malene Rydahl explores how the values of trust, education, and a healthy work-life balance with purpose—to name just a few—contribute to a “happy” population. From eye-opening stories about open-air vegetable stands to babies safely left unattended while parents have coffee, to very generous paternity leave policies, Rydahl provides tips that we can all apply to our daily lives regardless of where we live.